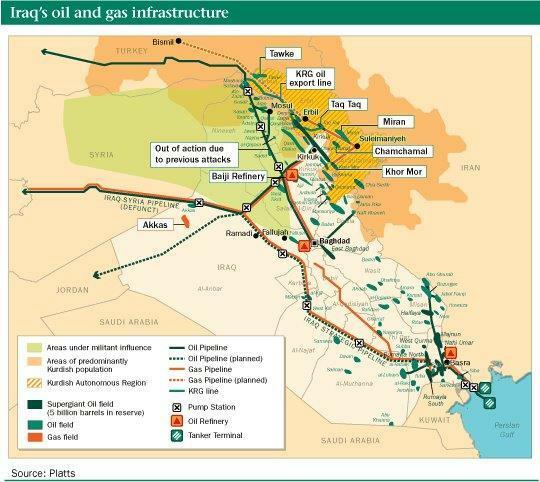 The Islamic State, or ISIS, may be losing its grip on some of Iraq’s oil infrastructure. After months of capturing oil fields, pumping stations and refineries across northern Iraq, the extremists have recently ceded some control amid U.S. airstrikes and heavy fighting from Iraqi and Kurdish forces. “The situation is in flux right now,” Robert Perkins, a senior oil writer at Platts, a commodity news service, said in a Thursday interview. At Platt’s latest count, on Aug. 15, ISIS held about 72,000 barrels a day of Iraqi oil capacity from six wells. But in the weeks since, separatist Kurdish troops began pushing back against the ISIS intrusion in their region. The Obama administration has launched more than 150 airstrikes in the country to help halt ISIS advances. Perkins said it is difficult to tell how much oil the ISIS-controlled wells are actually producing, or how much of the oil the militants are smuggling throughout the region. The illicit oil operations are thought to earn the group more than $1 million a day, according to Platts estimates, and ISIS is showing no signs of relenting its campaign of terror across Iraq. ISIS now fully controls about 18 cities and surrounding areas in northern Iraq, according to a recent New York Times map. The region holds about 17 percent of Iraq’s oil reserves, part of which is simultaneously being taken over by the separatist Kurdistan Regional Government in the north. So far, ISIS militants haven’t crossed into the predominately Shiite southern region, the area that contains the vast majority of Iraq’s reserves. As a result, the country’s overall monthly output hasn’t completely nosedived. According to the International Energy Agency, Iraq’s production dropped to 3.1 million barrels a day in July, compared to a peak of 3.6 million barrels a day in February. ISIS first began capturing oil infrastructure in Syria. In June, extremists made their first major Iraqi oil grab near the north-central city of Mosul, an area flush with oil fields and the small Qayyarah (also known as Qaiarah) refinery. Iraq Army fighter jets reportedly shelled the refinery in mid-July, though the facility appear to remain in the militant’s control. 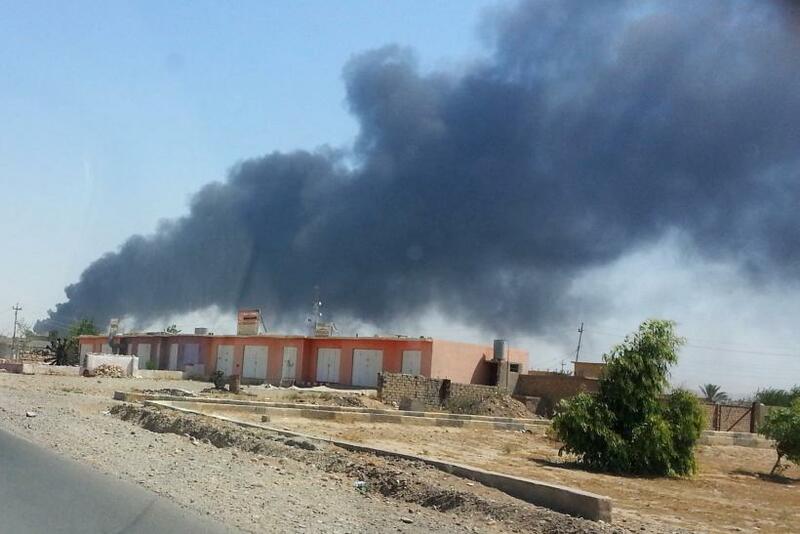 The extremists continued south to Baiji, where they targeted Iraq’s biggest oil refinery. Witnesses reported that Sunni extremists seized the 310,000-barrel a day facility in June, but Iraqi Army officials have disputed those claims. In any case, workers were evacuated and operations stopped in July. The Iraqi government now purportedly controls the facility, though pockets of militants continue to sporadically attack Baiji. It could take more than a year to repair the refinery when fighting subsides. ISIS militants pushed past Baiji toward Tikrit, where they captured at least four oil fields, including Ajeel, one of the area’s most productive. In early August, the extremists captured two more oil fields -- Ain Zalah and West Batma -- in the predominately Kurdish region of northern Iraq. As of Aug. 15, ISIS still controlled the Quyarrah, Ajeel, Ain Zalah, West Batma, Sufiyah and Himrin wells in the Nineveh and Salahuddin provinces, according to Platts. Recent reports indicate that ISIS has since lost its grip on the Ajeel oil field after a Kurdish-led advance in Nineveh in late August. Iraqi government troops beat militants back from the K3 refinery in Haditha around the same time. Ongoing ISIS attacks, however, continue to delay the Iraq-Turkey pipeline, one of the country's two main export routes, from coming back online. Shipments were halted in early March for repair work related to periodic bomb attacks.